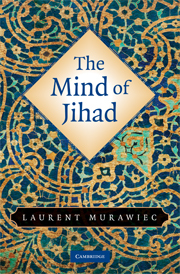 Those are but two of the hundreds of chilling citations in “The Mind Of Jihad” – a work that needs to be widely read in Washington, where key government organizations forbid the use of the term “Islamist terrorist” to avoid offending our enemies. Murawiec painstakingly dissects the roots of the current Islamist jihad against our civilization. He employs the extensive Muslim literature on the subject to explode the nonsensical claim that “true jihad” is an innocent personal struggle, rather than a theology of conquest. The text details the evolution of holy-war doctrines over the centuries of Islam’s existence, and provides proof that conquest-oriented jihad has always been integral to various schools of the faith. The reader also learns how Muslim malcontents placed their hopes in and ultimately learned terror techniques (and virulent anti-Semitism) from Nazi Germany. On the other hand, the greatest organizational influence on today’s terror networks came from the Soviets, who exploited Muslim aspirations during the Russian Civil War – only to crush them when their usefulness ended. This chilling book is not a shotgun blast at all Muslims. Murawiec stresses that the Aztec-aping fanatics at the core of Islamist terror are a minority. The “Mind of Jihad” is fierce, but fair – letting terrorists hang themselves with their own declarations. The views he advances are substantiated by the words of our self-declared enemies, living and dead. And in the best academic tradition, Murawiec isn’t out merely to convince us, but to help us understand. That means engaging our minds, not just our emotions. I know of no other book so valuable in helping us grasp the nature of our enemies.